At last some sunshine but still a bit too cold to spend a long time in the garden. Ideal weather and light for being in the warm and stitching! 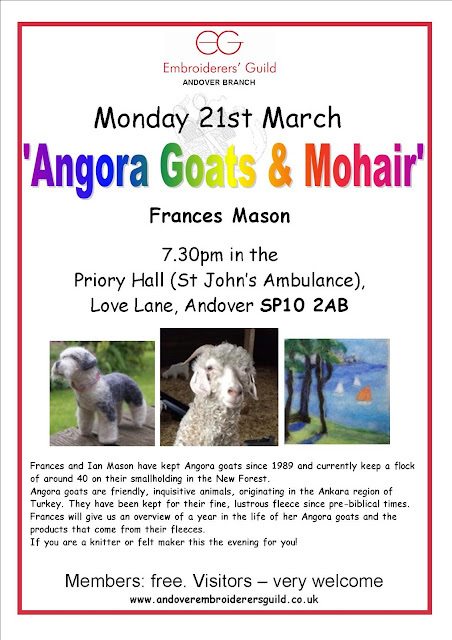 Our March meeting is a treat for felt makers and knitters (also animal lovers). 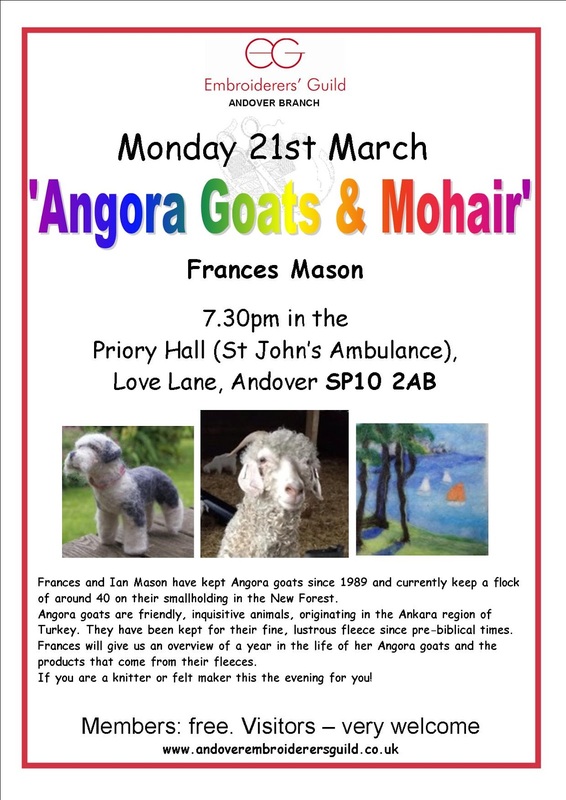 Frances Mason is talking about the Angora goats she and her husband keep and the lovely yarns they produce. There will also be a chance for everyone to see the pieces that some members have made for the Capability Brown Exhibition at Hilliers. If you can help with stewarding please sign up on the list on Monday or let Eleanor know.